Celebrate “National Craft Month” by featuring a curated selection of talented independent and emerging craft-makers. 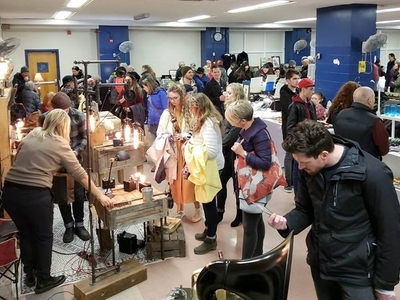 Come discover these incredible local makers who produce one-of-a-kind handmade fashion, home goods, jewelry, leather goods, furniture, stationary, lamps, art and more. Part of Grand Bazaar NYC’s mission is to help keep New York City creative and vibrant by supporting talented local artists, designers and makers with much needed affordable retail space, and by organizing such quality shopping events. Be sure to come hungry and ready to shop!